MY ZN line Integral has been converted to electric. 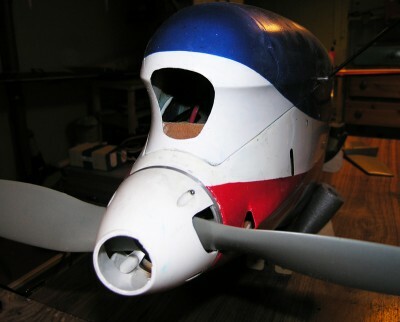 It has been flown just a few times this year, and although I love the simplicity of the 170 CDI, I needed to strip the whole plane down and re-paint parts of the nose where the paint had been eaten away by Nitro, and the home-made soft mount needed replacing. It was not a small job – a new Hydemount would have required a hefty spacer from the original firewall, and would have added much weight. The engine itself needed lots of spare parts and servicing. After stripping everything, I weighed the lot – it came out at almost 1.9 kilos, including tank, throttle servo, linkage, CDI box and fuel tubing. A YS setup is heavy! It didn’t take a lot of thinking to decide on going electric with this one. It’s a beautiful machine and deserves to fly. It pays to have two planes with a similar setup, so I set off converting it. Before: YS 170 CDI and Hatori header. 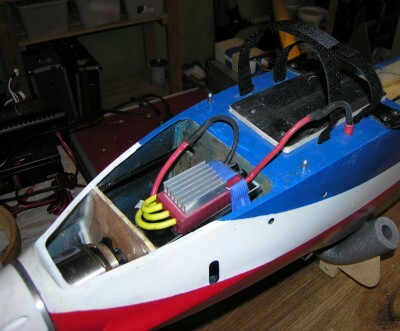 Since the picture was taken, it was refitted with a 9650 servo inside the fuse for the throttle. After: The battery tray is essentially a plate to raise the battery above the screws that hold the undercarriage. I couldn’t rest the battery on the screw head for fear of damage. To remove the undercarriage, the battery tray comes of with four small screws. As mentioned, the straps go through the floor where the pipe used to be, and are slung around the carbon rods. 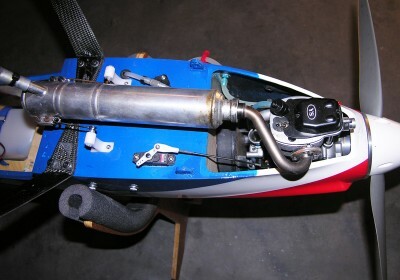 One rod also serves to hold the controller, along with a small nomex plate. The controller is offset from centre so that I can access the motor bolts if it needs to be uninstalled for some reason, alter the thrust line etc. Other modifications include removal of the 2000 mAh Schulze battery in favour of a small 700 mAh LiFe battery. I haven’t weighed the finished plane, but calculations indicate it weighs the same or less, compared to it’s YS CDI former self. The nose has been sanded and the paint touched up, and it’s ready to fly. Stay tuned for a flight report in a week or so. This entry was written by Jon Gunnar Wold, posted on August 14, 2011 at 20:46, filed under electric, My planes and tagged conversion, electric, Integral, YS. Bookmark the permalink. Follow any comments here with the RSS feed for this post. Post a comment or leave a trackback: Trackback URL.